There are so many things at the top online casinos that will interest players in South Africa. That is why thousands of Mzansi Gamblers are going online every day to enjoy the games. But online tournaments take the top spot. These events provide opportunities for players to enjoy a different level of gaming. A chance to play against other gamblers from many different places with different skills. This is something that every gambler needs in order to improve their real money gaming. Big real money prizes. The top casino game tourneys give huge and very generous prizes to the winners. There is usually a competition pot which is then given to the last man standing. The prizes are commonly higher than the traditional jackpots. Doing what you love professionally. When chance is coupled with skill, gambling can be done professionally. There are several international gambling tournaments. Professional gamblers have become the new stars of the world as they attract thousands of followers and earn millions in prize money. Because of the nature of online casinos they can afford to host several tournaments annually. At these events, players get to play for a bigger prize. The entry requirements of the gambling contests are different from casino to casino. There are tournaments for different games. Internet casinos have online slot tournaments, online Blackjack tournament, online roulette tournaments and online poker tournaments. 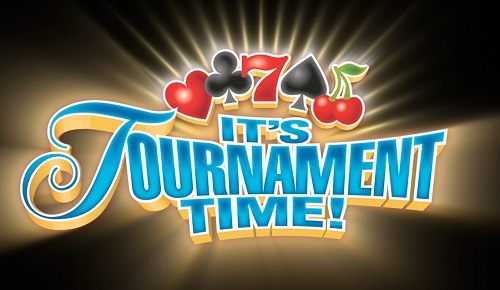 The most common types of the tournaments are slot tournaments and poker tournaments. The online slot tournaments are commonly played on a chosen game. Players compete against each other to get the most wins on the online slot. Many internet casinos run regular slot tournaments, some even on a weekly basis. Poker online tournaments require players to qualify for them. And some of the tournaments will qualify players for some of the biggest poker tournaments like World Series of Poker.